This two day adventure, explores the Forgotten Highway, the Whanganui River and the Whanganui National Park, with and overnight stay in the Republic of Whangamomona. Experience the Forgotten World from every angle, joining us on the Rail, River, Helicopter & Trails to truly embrace the magic of this spectacular region to its fullest. 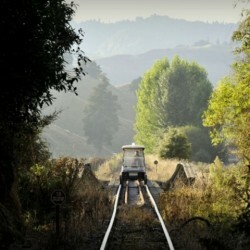 Check in at the Forgotten World Motel and take a short shuttle bus to the start of the line at Okahukura. 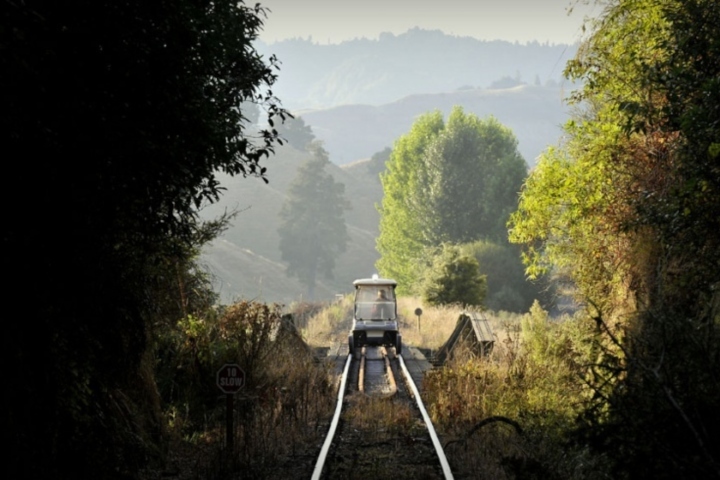 Board your Rail Cart and spend a full day exploring the Okahukura-Stratford line on the 20 Tunnel tour. Stop along the way to hear stories from your guide of the land, its people and history. Travel over bridges and through hand-built brick tunnels, including the lines longest tunnel at 1.5km, and journey through the Tangarakau Gorge. Arrive in the Republic of Whangamomona, explore the area and its charismatic pub, then enjoy dinner and an overnight stay (included). Wake up in the Republic, enjoy your breakfast, then start your adventure with a scenic helicopter flight taking in the spectacular views of the Whanganui National Park. Land in the Mangaparua Valley and take a 2.5km native forest walk down to the iconic Bridge to Nowhere. 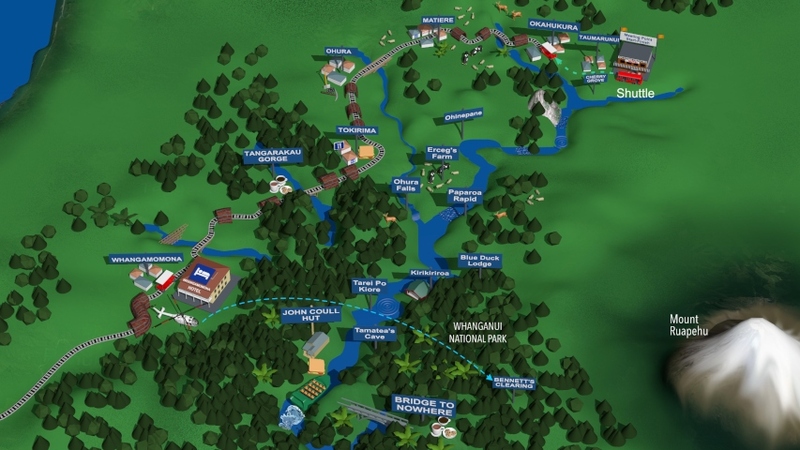 Continue your National Park walk another 2.5km on to the Whanganui River where you will board your Jet Boat. As you Jet Boat the river, learn stories of the people who lived in this remote part of the world, and explore historical and cultural sights including Tamatea’s Cave, Kirikiriroa Marae site and Tarei Po Kiore Whirlpool. Enjoy a lunch stop at John Coull Hut as you Jet Boat the Whanganui River back to Taumarunui.